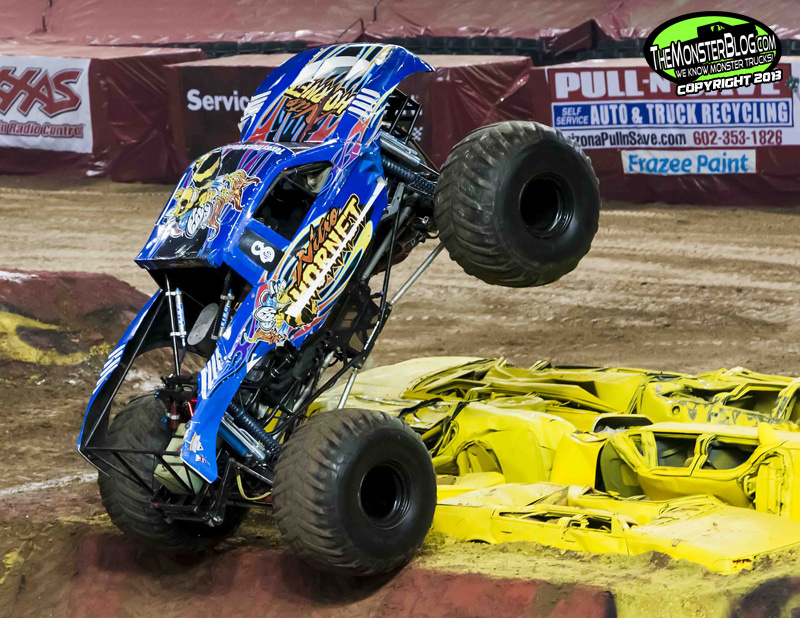 This time on “The Allen Report”, the biggest field in the history of Monster Jam in the “Valley of the Sun” played their game to a sold-out crowd at Chase Field. The field of 16: Charlie Pauken represented Team Grave Digger. Familiar faces Batman with Norm Miller at the helm and Devastator driven by Mark Schroeder were also in the house. West Coaster Daron Basl drove King Krunch while sharing the seat of team truck Nitro Hornet with former Bigfoot and FELD driver Sky Hartley. Rookie Shane England rounded out the camp in Big Kahuna. 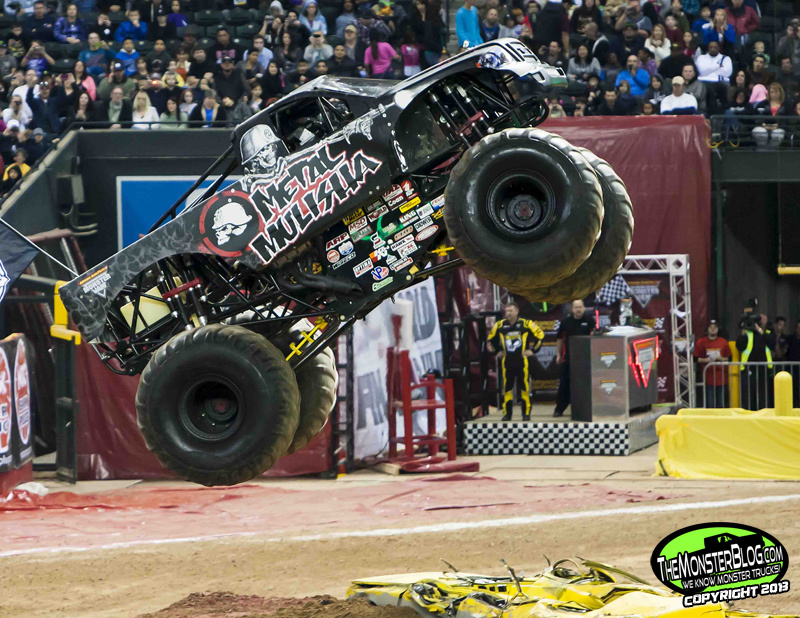 Todd Leduc was back driving Metal Mulisha. Scott Buetow came piloting Team Hot Wheels Firestorm. Steven Hill took the wheel of Ground Pounder. Right behind him in the teammate Amsoil Shock Therapy was Dave Radzierez. Damon Bradshaw was present in Monster Energy. Hometown driver Rod Wood was there as always in McGruff. Mitch Tulachka and Shane Phreed returned in Jus’ Geter Done and Robo Machine. Pat Gerber and Shocker appeared and rounding out the field was first year driver J.P. Ruggiero in El Diablo. 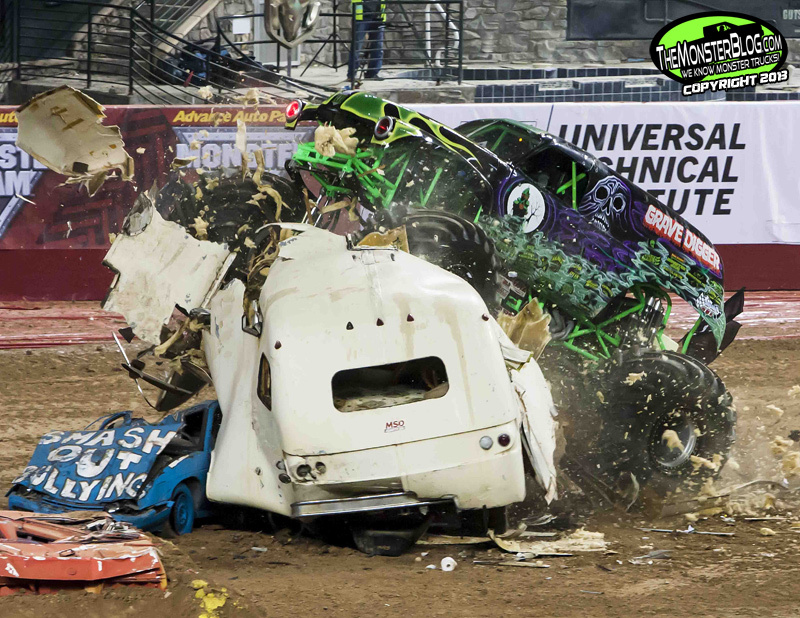 From the first green light of the So-Cal style of racing, the monster from the Mulisha compound and the black and green wrecking machine were on a collision course with each other. Just four-tenths of a second separated them in qualifications. From there, the two bulldozed down the opposition. However, as Grave Digger came back to the pits after defeating Monster Energy in the semi-finals, there was smoke pouring from GD’s motor area. Unable to get fixed in time, Monster Energy took Digger’s place at the starting line where Metal Mulisha was there waiting. Halfway home at the “jammer” obstacle, Todd, a former short course off road racer, drifted a little too far out. From there, the win was Monster Energy’s. But the night’s action was far from over. Nitro Hornet stung the field early with a score of 23. The Oregon native would remain the “hot seat” for a large part of the night. Then came the truck conceived by “the General” Brian Deegan and the other straight from the top secret Hot Wheels test facility. 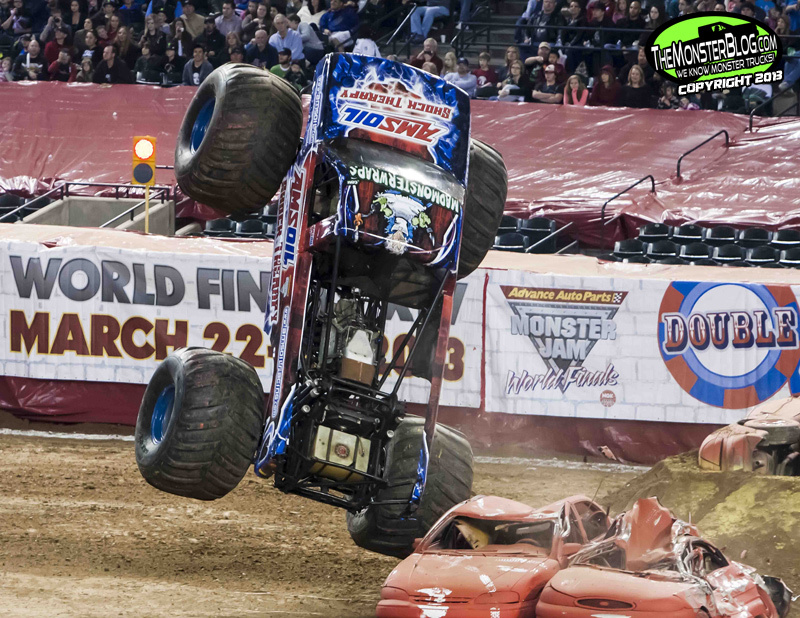 They both scored a 27 with the “coolest” monster truck around having a hair-thin edge of a single bonus point. Then on came the “Bad to the Bone” music. With the crowd roaring and the engine running on only seven cylinders, the 2010 Freestyle World Champion nailed huge air and had incredible speed followed by dizzying three-wheeled cyclones to take the winning score of 31, twenty-seven in regulation and no less than four bonus points for the win. In other action, Team USA defeated Team Mexico in fast and furious quad war action. 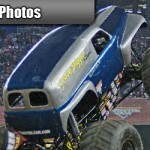 In addition, Tom Cunningham won the “off road truck-cross” main. From here, we at “The Allen Report” head out to Firebird Raceway for the last ever two day monster truck marathon on the merciless drag strip in Chandler, AZ. Till then, thank you for reading, enjoy the photos and cheer on! 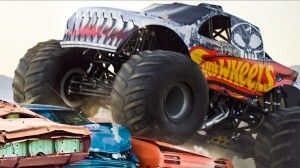 Description: Sweet Hot Wheels promotional video featuring the Team Hot Wheels monster truck. 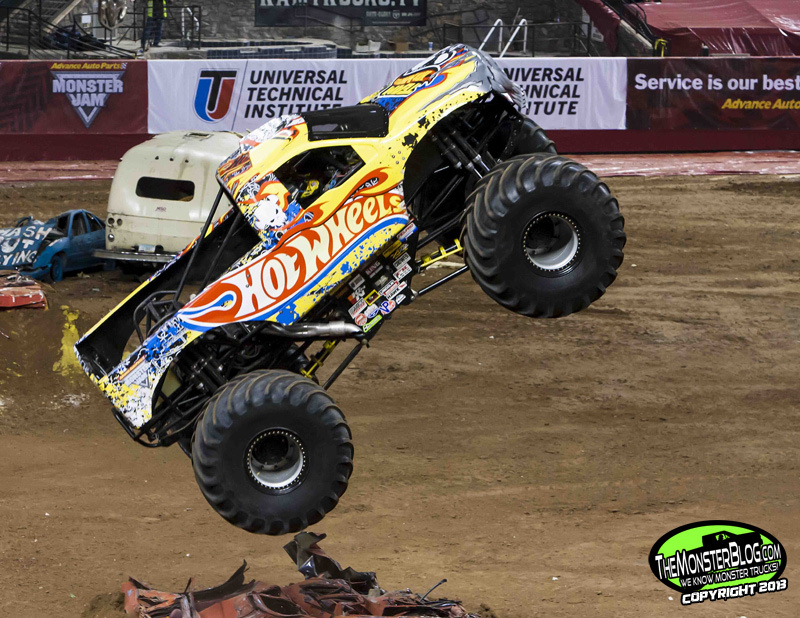 (El Segundo, California – Hot Wheels PR) – Hot Wheels and Monster Jam are teaming up in an even bigger way to bring fans the ultimate in thrilling vehicle experiences. 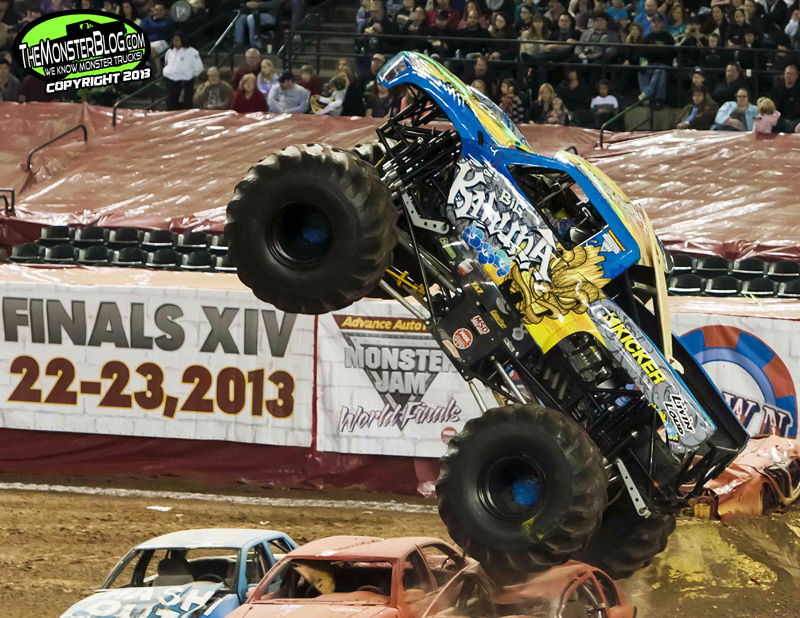 For the first time, a Monster Jam monster truck will be driven by a Team Hot Wheels driver (Dan Evans has been announced as the driver for 2012) and will perform live – electrifying fans in a full line up of Monster Jam scheduled events in the 2012 and 2013 seasons. To celebrate the Grave Digger 30th Anniversary, Hot Wheels will roll out new Monster Jam inspired toys ready to crunch, race and play. 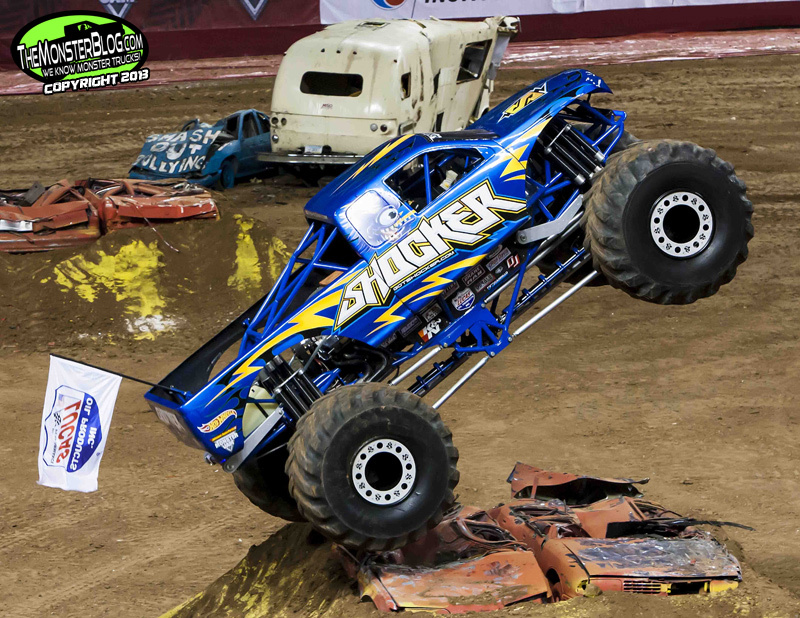 In addition to seeing the newly designed Team Hot Wheels monster truck at Monster Jam events throughout North America, fans also will have a chance to help name the five-ton motorized mammoth. 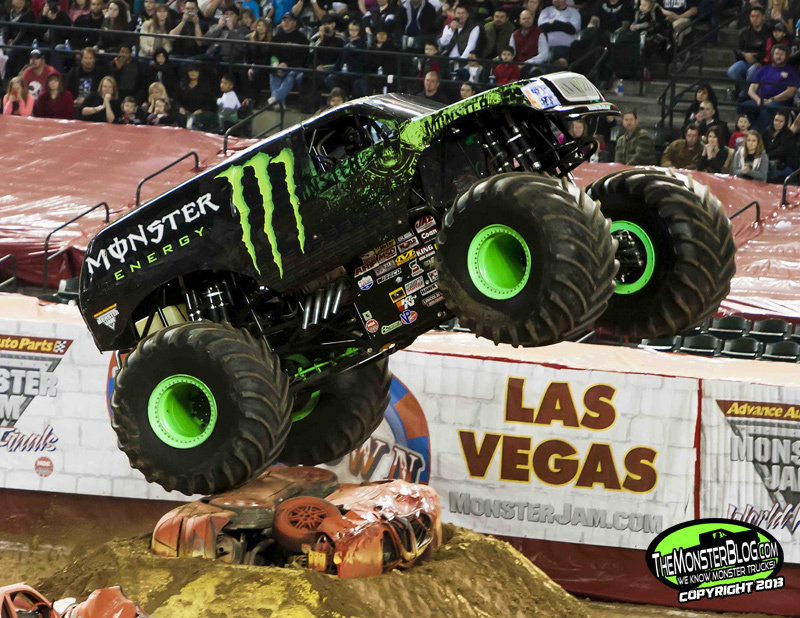 The selected name will be announced at the Monster Jam World Finals℠ in Las Vegas, NV, on March 24, 2012. A Mattel promotional shot of the new Hot Wheels ride. 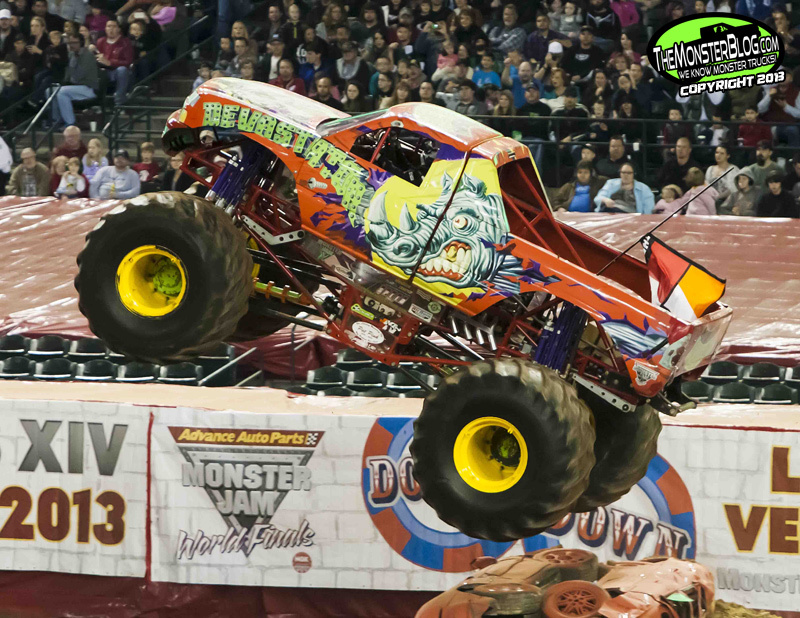 The Team Hot Wheels Monster Jam monster truck is the first of its kind constructed with state-of-the-art laminate technology. Made of carbon fiber, Kevlar and E-glass (which is used to make some of the parts found on the International Space Station), the body weighs half that of a normal fiberglass body. 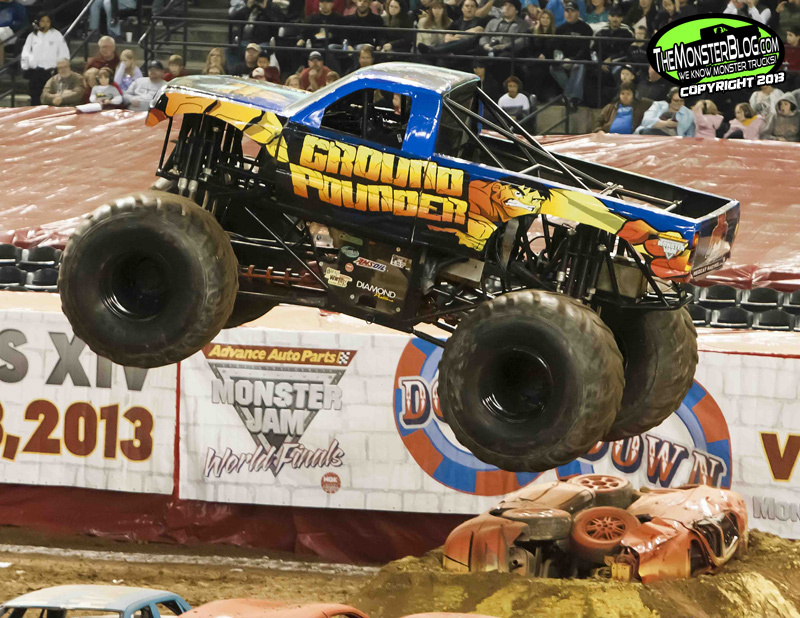 The monster truck is 17 feet long, 11 feet high, weighs 10,000 lbs. and sports a 1,500 horsepower engine, making it a true monster truck behemoth. To see how the Team Hot Wheels monster truck was created, fans can check out Hot Wheels YouTube channel for the “making of” footage for this monster truck. 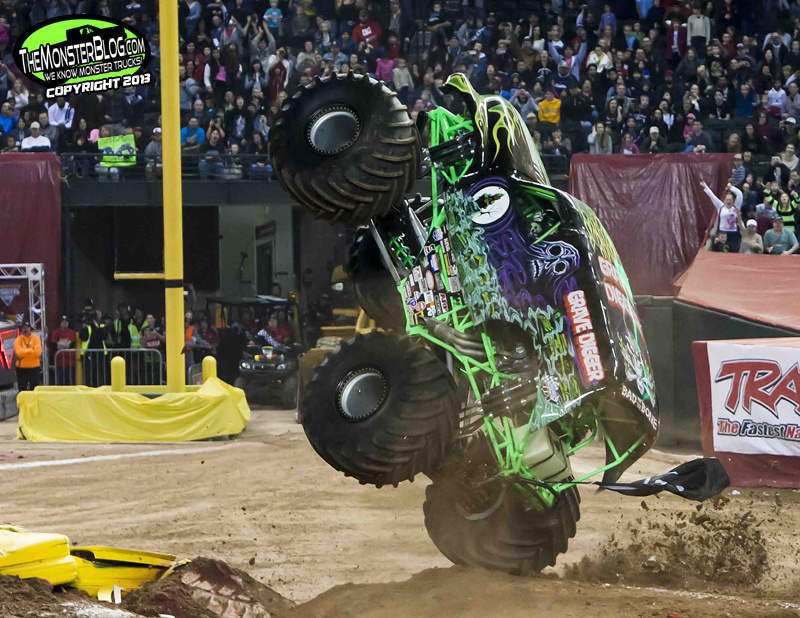 For decades, Monster Jam has been one of the largest and most successful touring family shows in the world. Over four million passionate fans fill the country’s largest premier stadiums and arenas across the globe to see the spectacle at more than 135 tour stops and 350 live performances each year. *Additional dates to be announced, schedule subject to change. Since 1968, Hot Wheels has been passionate about creating thrilling vehicle experiences through innovative product and content. With a fan base of more than 41 million people, Hot Wheels is the No. 1 vehicle property in the United States producing the coolest cars imaginable. The Hot Wheels brand began as a line of 16 1:64-scale die-cast vehicles; today, it has evolved into a true, global lifestyle brand for boys of all ages with segments that range from aftermarket parts to licensed apparel to branded digital content from Team Hot Wheels, a real-life race crew of professional drivers performing over-the-top stunts. For consumers to learn more, visit www.HotWheels.com and www.Facebook.com/HotWheels. 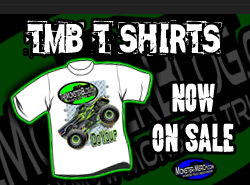 Feld Motor Sports, Inc. is the world leader in specialized arena and stadium-based motor sports entertainment. 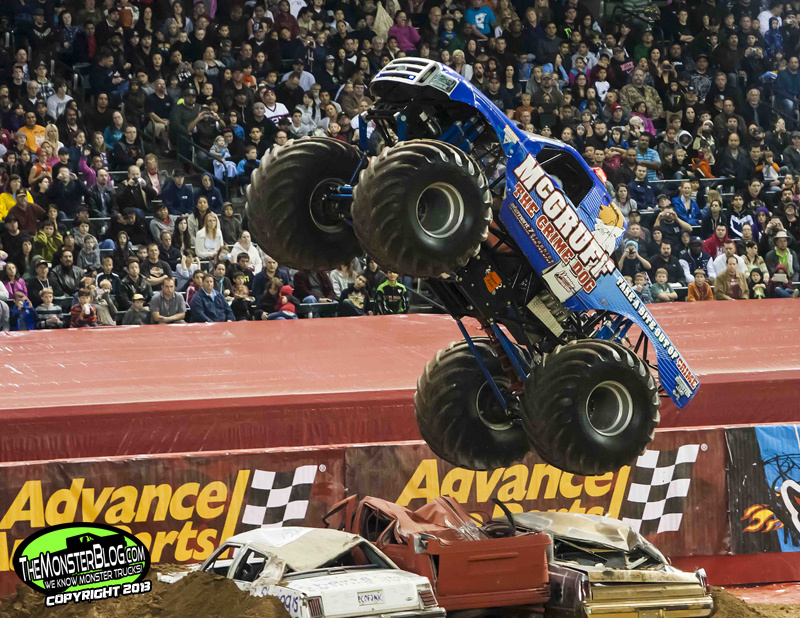 Feld Motor Sports, Inc. productions include Advance Auto Parts Monster Jam®, Monster Energy Supercross, AMA Arenacross Series, Nuclear Cowboyz®, and IHRA® Nitro Jam®. Feld Motor Sports, Inc. is a division of Feld Entertainment, the world’s largest producer of live family entertainment. For more information on Feld Entertainment, visit www.feldentertainment.com. (Temecula, California – Feld Motor Sports PR) – Brian “The General” Deegan, Metal Mulisha founder, twelve-time X-Games medalist and action sports icon, has collaborated with the Feld Motor Sports-owned Advance Auto Parts Monster Jam® to create the first-ever line of Hot Wheels® Monster Jam Metal Mulisha die-cast monster truck toys. Toy fans around the world can add these rare 2011 “First Edition” Metal Mulisha monster trucks to their Hot Wheels Monster Jam collections, which are inspired by the authentic monster trucks that tour globally with Monster Jam. 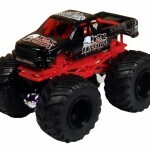 The launch of these vehicles marks the first ever release of a Metal Mulisha monster truck in the Hot Wheels Monster Jam toy line. 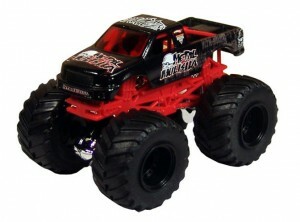 The new Metal Mulisha Hot Wheels Monster Jam toy truck is now in stores. 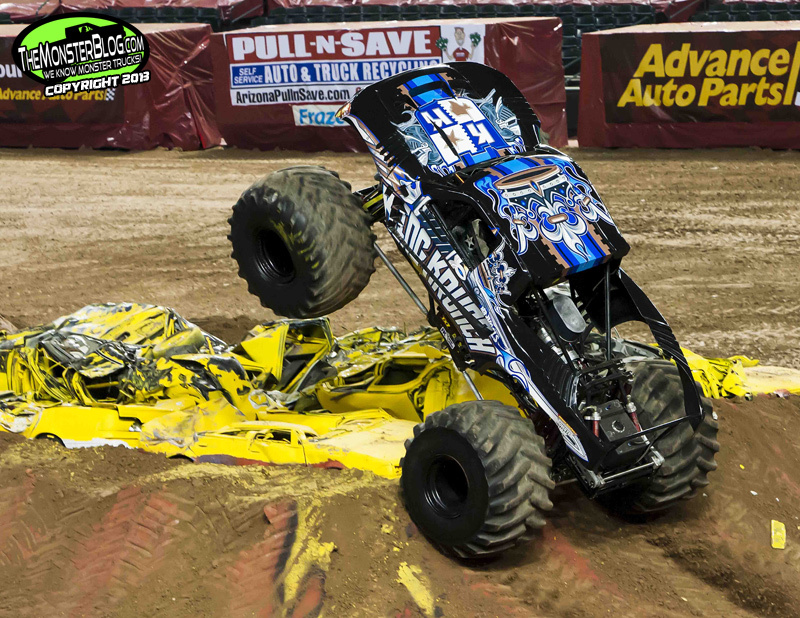 Brian Deegan, Metal Mulisha founder, has collaborated with the Feld Motor Sports-owned Advance Auto Parts Monster Jam® to create the first-ever line of Hot Wheels® Monster Jam Metal Mulisha die-cast monster truck toys. 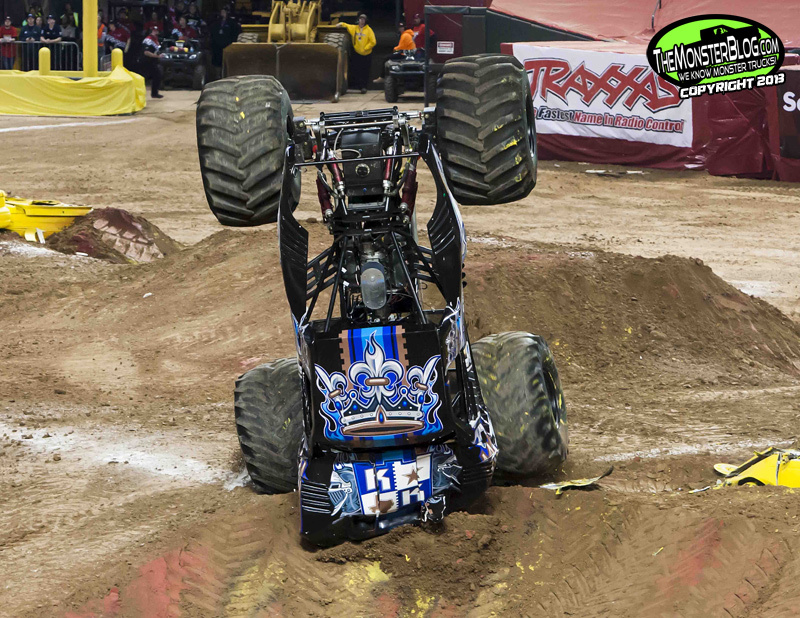 “I grew up playing with Hot Wheels cars and trucks, so I am really excited about the launch of the Metal Mulisha monster truck toys. 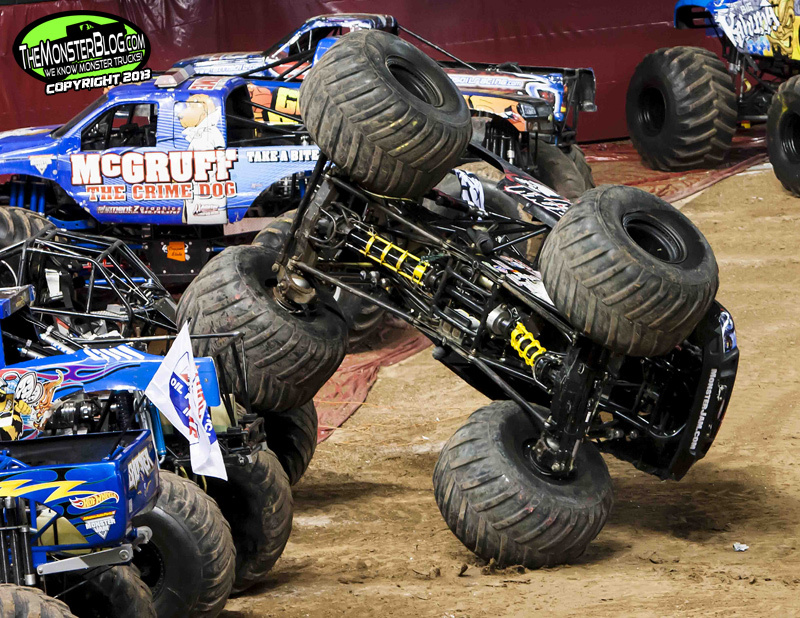 It will allow the fans to create their own Monster Jam playground in their backyard! And yes, you better believe that I want to create and drive a Metal Mulisha monster truck to tour with Monster Jam some day,” Deegan said. Inspired by Brian Deegan and Metal Mulisha, the Hot Wheels Monster Jam die-cast monster trucks are now available in multiple scales at retailers worldwide and at MonsterJam.com. The authentic line of Hot Wheels Monster Jam trucks feature die-cast bodies, oversized tires, and chrome-look wheels and is currently packaged with Metal Mulisha and Monster Jam temporary tattoos. 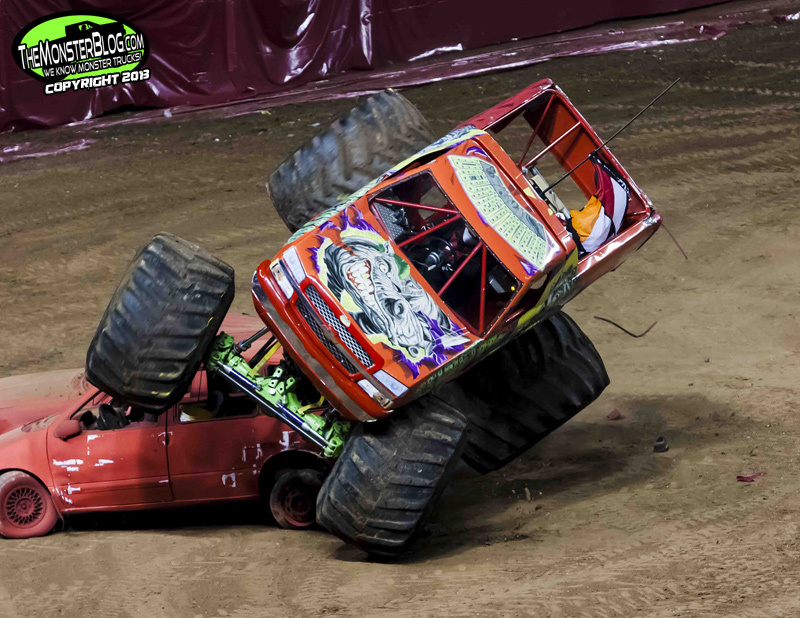 The officially licensed Monster Jam die-cast monster truck vehicles will allow fans to bring home the high-flying, car-crushing action of Monster Jam live events. 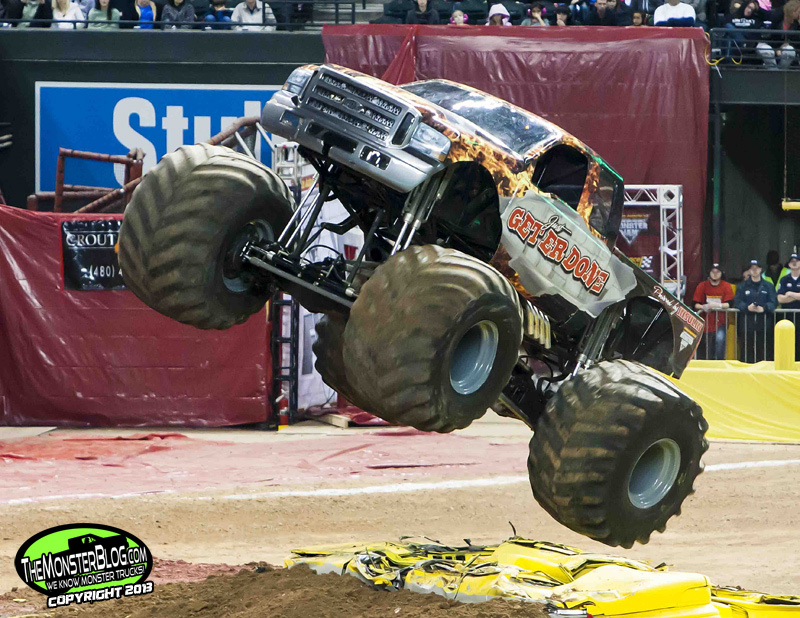 Advance Auto Parts Monster Jam is the largest and most popular monster truck touring property in the world, entertaining over four million fans yearly at the premier stadiums and arenas. 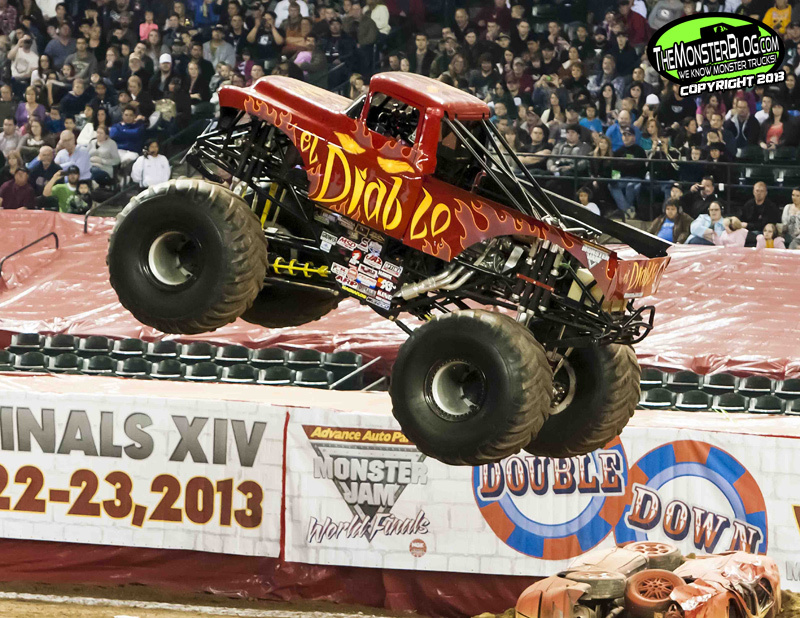 Monster Jam features icons such as Grave Digger®, Maximum Destruction®, Monster Mutt®, El Toro Loco®, and more. Motocross legend, founder of Metal Mulisha and 2010 Lucas Oil Rider of the Year, “The General” Brian Deegan is one of the most decorated action sport athletes to-date. Brian holds the record for most X Games Medals and is the only rider to compete in at least one event each year since the X Games’ inception. In 2011, Brian will continue to test the limits in FMX, Pro 2 and Pro Lite Short Course, Rally, Rally Cross and Stock Car racing. Brian is sponsored by Rockstar Energy Drink, Metal Mulisha, Ford, Lucas Oil, Makita Industrial Power Tools, MAXXIS Tires, Etnies, Gibson Exhaust Systems, 4 Wheel Parts, Von Zipper, MSR, Pro Taper, My Plash Prepaid Mastercard, Fathead, Brembo, K & N, PPG, VP Racing Fuels, Fox Shocks, Mastercraft Safety, MSD Ignitions, Impact Racing, Eibach Springs, McKenzies, and Fiberwerx. Feld Motor Sports®, Inc. is the world leader in specialized arena and stadium-based motor sports entertainment. 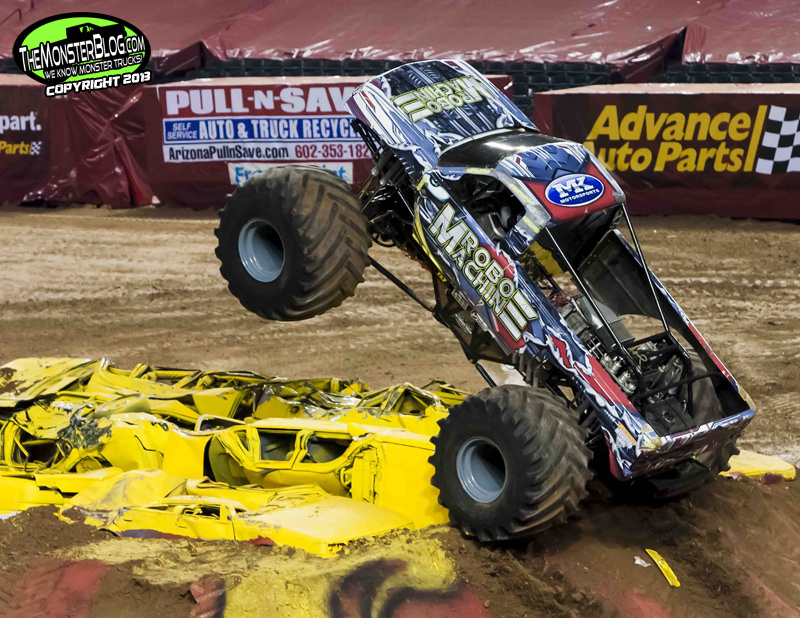 Feld Motor Sports, Inc. productions include Advance Auto Parts Monster Jam®, Monster Energy Supercross, AMA Arenacross Series, Nuclear Cowboyz®, and IHRA® Nitro Jam®. 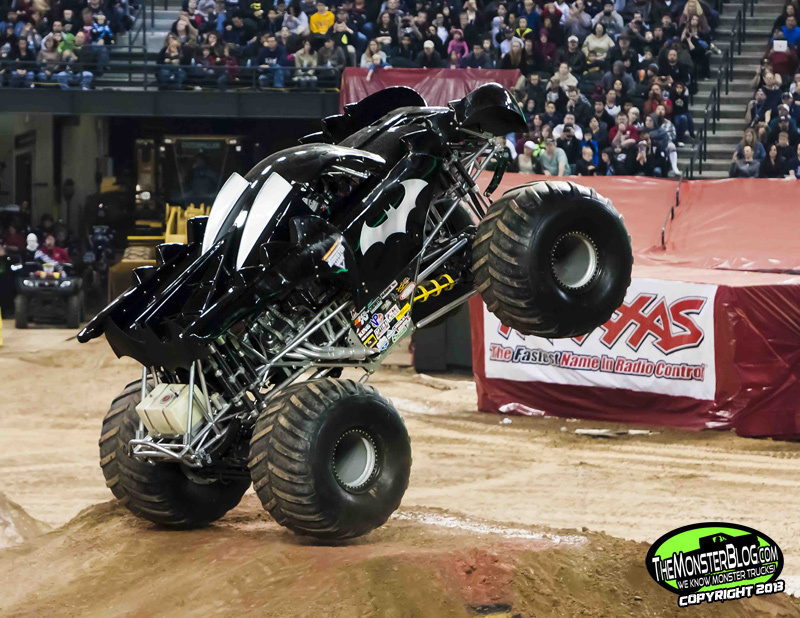 Feld Motor Sports is a division of Feld Entertainment, the world’s largest producer of live family entertainment. For more information on Feld Entertainment, visit www.feldentertainment.com.